This video had my mouth watering in seconds. I don’t know many people who don’t love the taste of a good old-fashioned baked potato, but thanks to this video that savory taste can be elevated to a new delectable level. Chef John is always uploading easy-to-follow recipes to the YouTube channel Food Wishes, and I just can’t seem to get enough of them. In the video below, Chef John walks viewers through the process of making twice-baked potatoes. 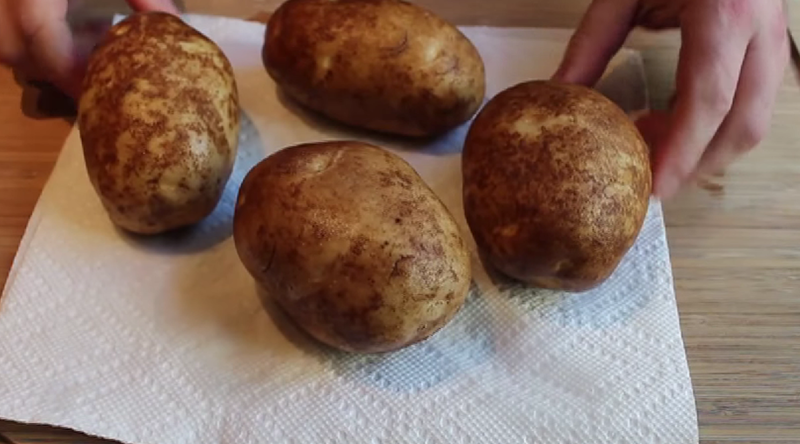 He even reveals a simple trick to viewers that he’s been using for years when it comes to making baked potatoes. I love adding my own flavors to recipes that I find online; it makes things way more fun, and I get to test out new creations. I’m not exactly sure what ingredients I’m going to add to my twice-baked potato, but I found some great suggestions on the Food Network website. Food Network has an article titled “50 Stuffed Potatoes” and the list had me drooling before I even reached the end. This handy list provides every baked potato idea from bacon and egg baked potatoes to toasted marshmallow baked potatoes, and the list goes on! I can’t wait to give some of these a shot, and I’m definitely keeping in mind Chef John’s trick that he reveals in the video. We had a baked potato bar at the viral Novelty office just the other day, and I’m already counting down the days until we have it again. We hope you get some great ideas from this video; we certainly did! Tell us what you think in the comments section below after watching!